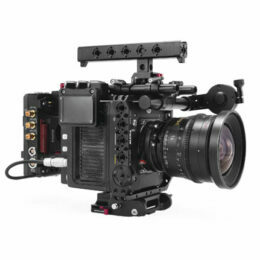 Can I use the V mount battery baseplate with C200? Where do you put the lens support bracket? On the baseplate or on the full cage?